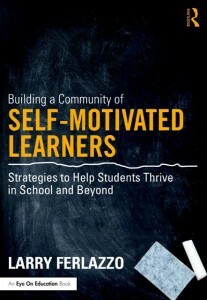 My New Book On Student Motivation To Be Published On March 27th – I’ll Begin Tweeting Excerpts Now! Middleweb has just published an excerpt from the chapter on developing “flow” that’s in my new book on student motivation. They’ve titled it Help Your Students Get Into the Learning Flow. Mindshift, the popular KQED blog, has published an excerpt they’ve titled What Motivates A Student’s Interest in Reading and Writing. 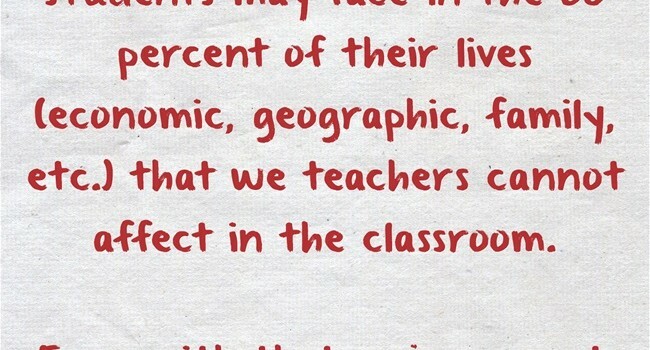 Creating the Conditions for Student Motivation is the title of another excerpt from my book, and it’s appeared at Edutopia. When my second book on student motivation was published in 2013, I shared a number of quotations from it (and responded to comments and questions) through Twitter. I compiled them all here. The third book in my “trilogy” 🙂 will be published by Routledge on March 27th and I’m going to start doing the same kind of sharing on Twitter til then. I’ll also post compilations on this blog. The book’s title is Building a Community of Self-Motivated Learners: Strategies to Help Students Thrive in School and Beyond. It’s available at Routledge and at Amazon. You can find additional free resources here. All the student hand-outs, and there are many of them, will be available for free download at the Routledge site — for anyone and everyone. Book purchase will not be required. Over the next two weeks, you’ll also be able to read book excerpts at Education Week, Middleweb, Edutopia, MindShift, and The Washington Post. I’ll also be doing a Webchat about the book for Education Week at the end of the month. The date should be finalized within the next few days and I’ll post about it. I’ll be using the hashtag #selfmotivatedlrnrs on Twitter for the next couple of weeks.